Movie subtitle is a very common need while watching a movie. Even I need to download subtitles for each and every movie that I watch. Many people don’t need subtitles but I do. I feel very comfortable if I have subtitle. If you don’t need to download subtitles, then it’s fine but if you do then I am going to show you a very easy and quick way to download movie subtitles automatically. Download and install it, it only takes an agreement that no one ever reads and few click on next button. However, after downloading the player, open any movie that you want to download subtitle. And you are done. Now the player will search on the internet and download subtitles for that particular file. From the name, you can tell, what the player does. Here is a screenshot of the whole process. It basically searches for download the subtitle from opensubtitles.org, which is one of the biggest movie subtitles website. It fetches the subtitle and download it in your computer. So, you need an active internet connection to download subtitles. I hope the process was easy. If you are struck at some point, I have recorded the full process of how to download subtitles in a 3.32min video. Click on the play button to watch the video. So, If you find this post useful, like and share the post and subscribe to my YouTube channel. Marshmallow is the 11th release of Android operating system. Each big release of android comes up with a name. This version of android was named Marshmallow also codenamed Android M. After the release of this version all the android users are now very excited about android 6 features. Each time with such update, android comes up with better updates. I still remember the old days when the operating system didn’t even have a proper system to kill apps. Well I think, in each update, the least change is done to a menu. The menu icons, position and sizes don’t seem to be changing much. Well, it doesn’t stay the same always but the changes are not that much in numbers. But in this version, the menu is changed and it will look way different comparing to the last version android 5 or Lollipop. Android phones have a lots of menu items in it. Sometimes it seems boring to scroll through all of them. So, in this update android authority decided to add submenus. For the items that are used is a part of another menu and accessed by that parent menu. While using a device, animation makes it lot more interesting as well as user friendly. Android marshmallow has better than ever animation. It is mostly visilbe while using the built in features of a device. Animation in an app is not related to the operating system. Before this version of android, fingerprint was not vastly supported by operating system itself, but now it is. 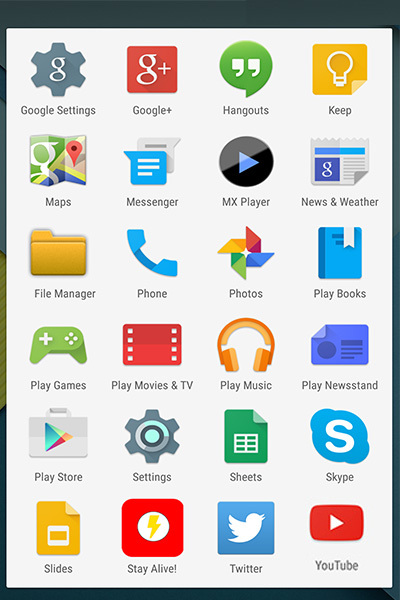 You do not need to root your phone or use some third party apps to get this new android 6 features, it is preloaded. It is always very important thing about any android device, how will be the battery performance after this update? Well, among all android 6 features, the apps and battery management is going to impress the users. The operating system will have the code of conduct in managing the processes made by apps. By minimizing the background activity, the user should have better experience. So, these are the most important android 6 features that you should know about. There are a lot of them though. But I think, these are the ones that the users look forward too. I won’t lie but google is taking way too much time in making this version available to all devices but after all, this is google so they will enhance the new android 6 features and make it available very soon.